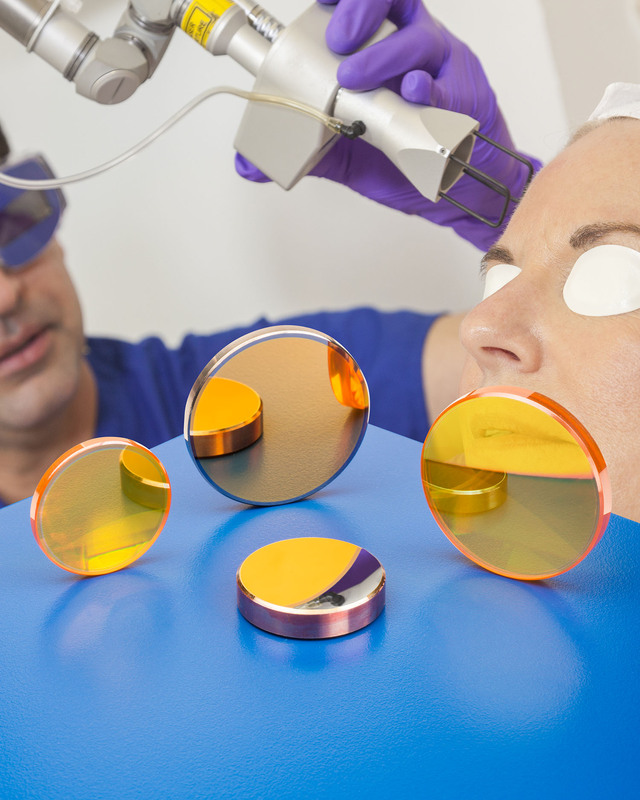 A full line of laser-grade zinc selenide (ZnSe) optics including discs, output couplers, and mirrors that are optimized for medical Nd:Yag laser OEMs is available from Laser Research Optics of Providence, Rhode Island. Laser Research ZnSe Optics are optimized at 1064 nm and 10.6 microns for Nd:Yag lasers and include plano-convex and plane-parallel discs, output couplers, and mirrors. Suitable for medical laser OEMs, they are offered in 1/2” and 3/4” O.D. sizes and can be supplied with various coatings. Available with dual-band and reflectance coatings up to 95% on each side, Laser Research ZnSe Optics feature 40-20 scratch-dig surface finishes per MILO-13830 (20-10 one face on plane-parallel) and 1/4 wave at HeNe flatness and surface accuracy at 10.6 microns, with 3 arc-mins. maximum parallelism. Laser Research ZnSe Optics for Nd:Yag medical lasers are priced according to configuration and quantity. Price quotations are available upon request.